Posted on October 5, 2015 by Mark E.
Well, it’s finally happened. 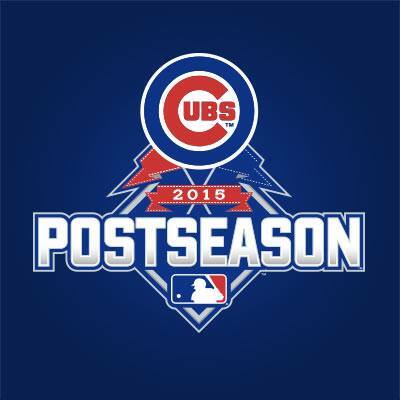 The Cubs are in the playoffs. And while I still think 2016 will be the Season Of A Dream for the Cubs, one never knows what the boys have up their sleeves. After all, they did win 97 games, have one of the most exciting rookies in years in Kris Bryant, the big bat of Anthony Rizzo, and the lights-out pitching of Jake Arrieta. That’s why ESPN put the Northsiders at the top of their MLB Playoffs Rootability Index this year. The Cubs play the Pittsburgh Pirates Wednesday night in the NL Wild Card Game to see who will go on to face the St. Louis Cardinals in the NLDS. As a rule, Cardinals fans aren’t very fond of the Cubs or anything having to do with the Cubs. And that means many of them will automatically root for the Cubs to lose in any game, especially one that could advance them to face the Cards. But the smart Cardinals fan should rethink that notion, because Baseball’s Best Fans would benefit in a big way from a Cubs/Cards NLDS. Sure, it’s a one game swing, but any advantage should be good for the Redbirds, and since it’s a game of inches, that one extra win from the Cubs may make all the difference in the world. More Cubs fans than Pirates fans will make the trip to Busch Stadium for the same reason. Sure, some might get into the game, but most of them will be crammed into Ballpark Village drinking beer that’s just as expensive as inside the ballpark and maybe even listening to Joe Buck provide between inning commentary, which is punishment for any Cubs fan. And let’s be real here, St. Louis needs all the tourist money it can get these days. Think of the dough those giddy Cubs fans will drop while they celebrate having their team in the playoffs for the first time since 2008? Tony’s and Mike Shannon’s are gonna be packed, PACKED I tell ya! Heck, its only a FIVE GAME SERIES. Win 2 at home, knock off the Cubs on the road, and then rest up for whatever suckers the Cardinals face next. Bang, zoom. You get to beat your biggest rivals and then sit at home and watch Frank Cusumano carry on about how easy it’ll be to slaughter whoever dares to face the Mighty Cardinals. If anyone is going to ruin the Cubs’ chances of getting to the World Series, shouldn’t it be the Cardinals? Beating Pittsburgh would be nice and all that, but what satisfaction do you get from that? Mocking bottles of Heinz Ketchup? Cardinals fans deserve better than that. So you see, Cardinals fans, there are plenty of reasons for you to toss aside your long standing hatred of the Cubs, at least for one night. Think of it as short-term pain for long-term gain. Don’t you want to see the Cubs humiliated by The Cardinal Way? Wouldn’t you like to take a nice four hour ride to follow your heroes and see them advance to the NLCS by winning game 3 or 4 at what the late Steve Goodman called an “ivy-covered burial ground“? Well, that can’t happen if the Pirates prevail Wednesday night. Face it, Cardinal Nation, if the Cubs win Wednesday night, so do you. If they lose, it’s just another Red October without all the juicy hatred and rivalry the Cubs stir up in you. 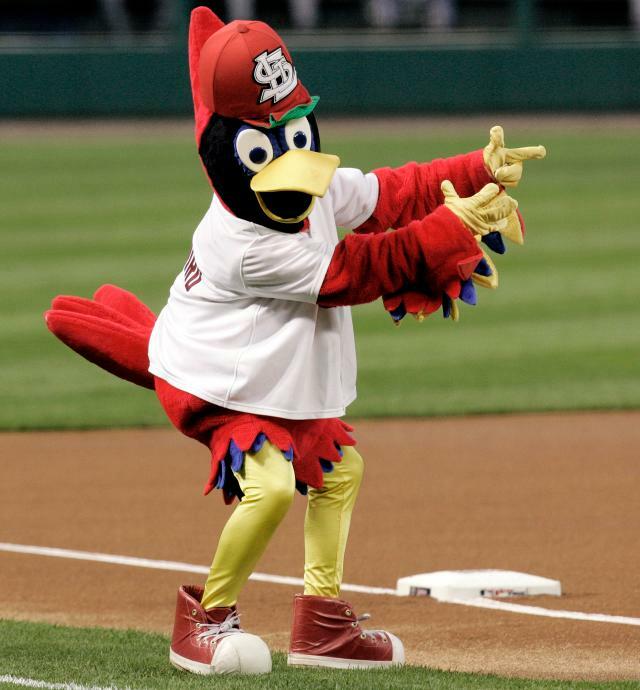 I bet Fredbird would even be celebrating a Cards/Cubs NLDS series. So NOW You Want On The Cubs Bandwagon?